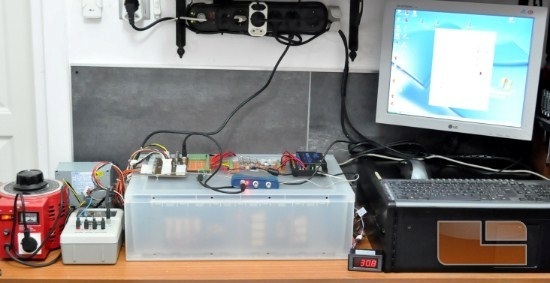 In order to be able to effectively and efficiently test any computer power supply unit, we developed and constructed our own proprietary testing station. 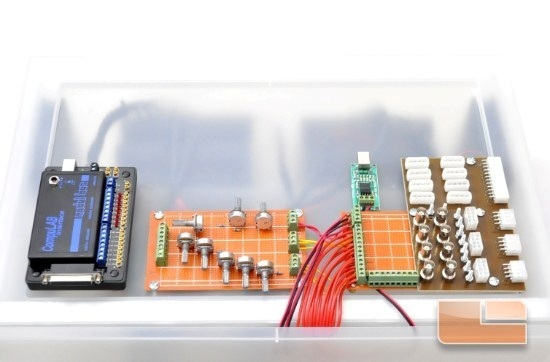 Our testing station consists of a number of power resistors and small capacitors, which in turn are connected to a RS485 electronic relay array which allow our load to be controlled through computer software alone. When accuracy and speed are of critical importance, a simple multimeter or voltage meter is not sufficient for the task. 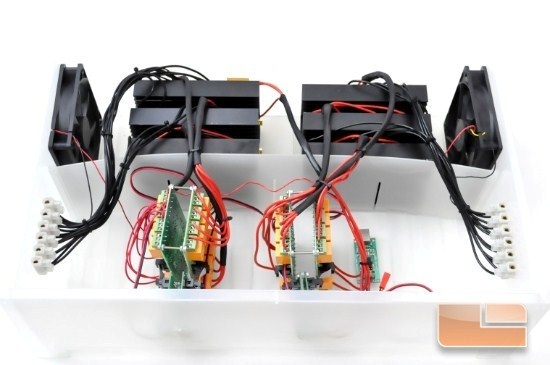 To ensure the quality of our testing, an USB laboratory interface is being used to continuously monitor and record the readings of all voltage lines simultaneously. For ripple measurements, an oscilloscope is necessary and we chose the USB Instruments Stingray, the most widely used oscilloscope amongst low voltage PSU engineers and testers. 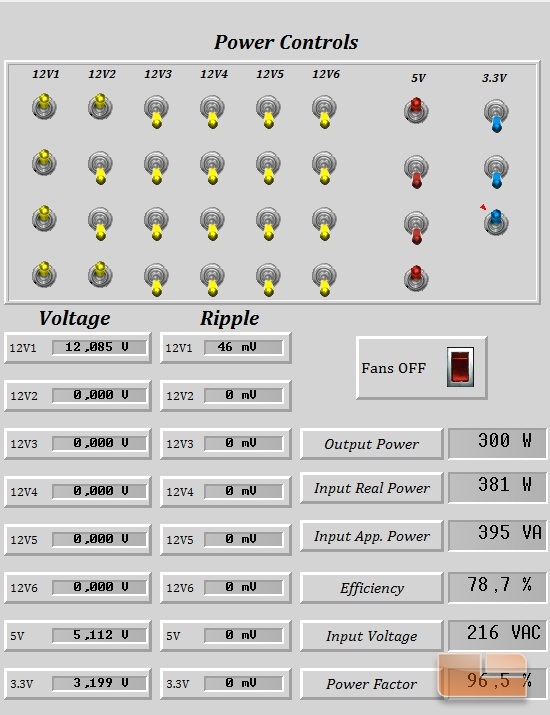 For accurate testing and repeatable results, a stable power input is also required. Thus, we are providing power to our test samples through a 3kVA VARIAC which allows us to control the input voltage of our test samples and also perform efficiency tests under both 110V AC and 230V AC input. A Lutron DW-6091 is also being used, monitoring the input voltage, real and apparent power, power factor and amperage. 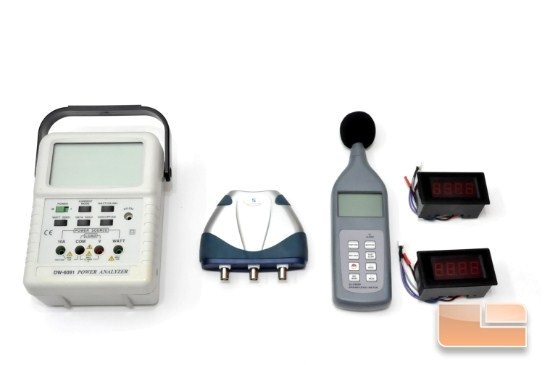 A power supply testing procedure would not be complete without thermal and acoustics tests. For our acoustics tests we are using a SL-5868P digital sound level meter, placed 1 meter away from the unit (DIN standard). Two PT100 sensors and their respective displays are being used to monitor the ambient temperature and the exhaust temperature of the unit.